This ‘social coding’ is constantly changing, of course, and is often contradictory. Many spaces have undergone a remarkable transformation in the public imagination. 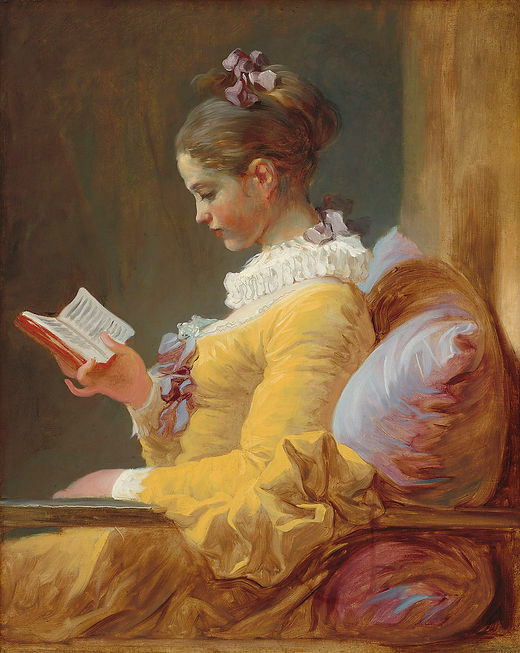 Reading in bed is a classic example: a bedtime novel with a mug of cocoa is now standard practice, but in the late eighteenth century it was widely seen as morally dubious, because the reader was placing themselves under the influence of a book in their most intimate place. This argument was especially levelled at those constructed as the most ‘vulnerable’ in society (the usuals: women, children, and the uneducated). Where people were reading seemed particularly crucial during the ‘long’ eighteenth century (1700-1830), a period that saw remarkable developments in printing technology and literary forms. Cultural commentators constantly noted that people were reading in unprecedented places, using this as ammunition in their arguments about social change. Wordsworth, for example, wrote an angry little poem about tourists reading on holiday, a sign of modern distraction and man’s removal from nature. Conversely, Goethe’s Werther was constructed as a character of heightened sensibility by the very fact that he read his Homer in the countryside. The philosopher William Godwin even thought that reading spaces showed the intellectual credibility of a reader. In the early nineteenth century, he claimed that attention levels were always low when lying in bed, so reading there was a sign of passive textual consumption. Instead, he recommended reading ‘in the middle of a [personal] library’, arguing that this distinguished the ‘true reader’ from the false or inferior. The spatial ideology of this ‘true’ or ‘authentic’ reader is still alive and well today, but has undergone a drastic reversal. 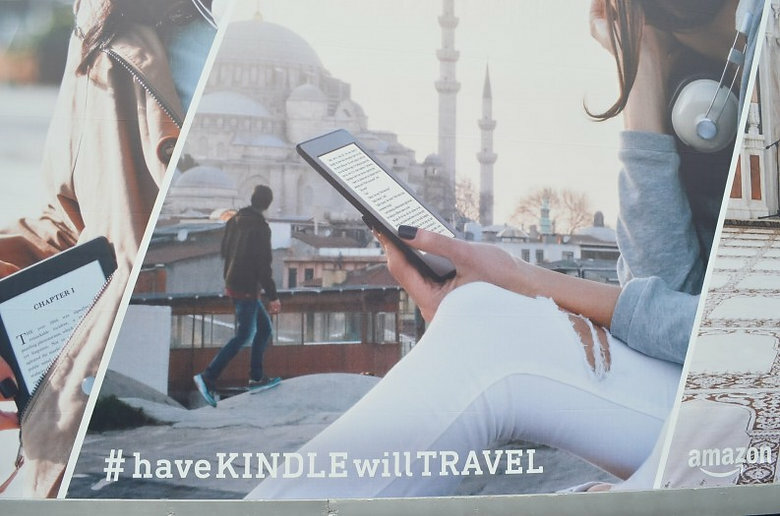 The recent ‘Have Kindle – Will Travel’ adverts are a good example. The Amazon marketing team depict the authentic reader as the on-the-go reader, whose casual, adventurous and uninhibited lifestyle is signalled by their reading habits as much as by their hipster glasses and grungy aesthetic. Twenty-first century culture at large tends to uphold the outdoor reader, or the coffee-shop student, often casting libraries or study rooms as artificial and oppressive. These interesting cultural changes suggest that the places in which we read matter – and for more than just practical reasons. As our ideas change about what reading is for, so do our ideas about who is ‘truly’ reading. Maybe images such as those from the Kindle campaign tap into a common belief that reading, like most things in life, functions best as a blend of self-discovery and escapism. For centuries, reading spaces have been recruited in this way to express ideas about human identity. What do your reading habits say about you? My research interests concern the activity of reading as a cultural construct – particularly the relationship between literary portrayals of reading and wider social attitudes towards knowledge and mediation. My doctoral project focuses this upon the long eighteenth century and the work of William Godwin (1756-1836). See my full profile here. ‘Godwin/Shelley Correspondence’, in Collected Novels and Memoirs of William Godwin, vol. 1, ed. by Mark Philp (London: Pickering, 1992) pp. 67–82 (p. 81); cf. Thoughts on Man, in Political and Philosophical Writings of William Godwin, vol. 6, ed. by Mark Philp (London: Pickering, 1993), pp. 125–26.